Content creation is no longer the exclusive domain of journalists, newspapers, and advertisers. The resulting cascade of information requires new content organization and consumption techniques, and the disciplines, competencies, and skills of content curation are now critical. This article argues that active content curation requires real-time technology and tools used by knowledge domain experts who can interpret and add insight to content. It explores the content curation process, introduces five laws for the curation economy, presents models of content curation and assesses the essential curation skills. It is a necessary skill for all of us so that you can be better learner that knowledge and understanding to work on challenging issues that are facing today. Something like finding the best information, storing it, and sharing can be robust. 80% of marketers are in the thought of sharing third-party content that leads to a brand reputation. The pocket is a great place to get into the habit of accruing content to save and share later. It keeps all your interests, articles, videos in one place for reference. It will be held in Pocket when you find something you want to view later. After putting in Pocket, to consider you don’t need the internet connection. Twitter Lists comes in handy. Curated groups of Twitter users that you can categorize and follow separately from the rest of your feeds. It has even better feature; you can easily save articles from Twitter directly into your account if you create a Pocket account. Redef’s newsletter is one of the best in content curation. It has launched a site curating the best in media, sports, fashion, music, and technology. Daily Brief loads quickly on phones, tablets, and desktops, making it easy to read on any device without large images. It is text-based with cross platform-functionality. Internet Brunch, find the best news, GIFs, and trends from across the Internet. Scoop.it helps individuals and businesses publish content in an efficient and impacting way. It uses big data semantic technology to help you quickly find relevant content. You can achieve good social reach and traffic from your topics. By publishing your Content Curation, it creates and grows online presence in minutes. Feedly is a supercharged RSS feed. The Content you need to accelerate your recharge, marketing, and sales. Feedly is the personal magazine. It helps you access the content of your favorite sources. Where ever you want, from anywhere. The concept is simple that users can search, browse or create stories from social media sites like Facebook, Twitter, and Instagram. From there, they can use that content to tell or follow a story as the name suggests. Sniply is a conversion platform, and it adds your custom call-to-action to any page on the web, through every link you share allows you to engage your followers. Curata can recommend and help users discover content relevant to their respective audiences, without a ton of human labor. It has automated marketing platforms by publishing and promotion and allows you to produce curated content on your blog, social, newsletter. It is similar to Curata, Publish This promotes the reliability of its algorithm to source relevant content for your audience. It is mostly powered by Big Content, consists of monitoring, personalization, Analytics, curation, Publishing, and marketing automation. The cost of content marketing is 62% less than traditional marketing. TrapIt tools that help employees follow best practices” on social media, as well as helping internal leaders become established thought leaders and social selling. Trapit’s platform is to discover, organize, personalize, and distribute content. And it helps users prospect, network, and build relationships by sharing the information that’s going to be most relevant to their targeted audiences. Pinterest is an excellent source of infographics. From food recipes to home decoration, this platform offers a variety of filler ideas. Pinterest also used to share all the content you can find and organize. 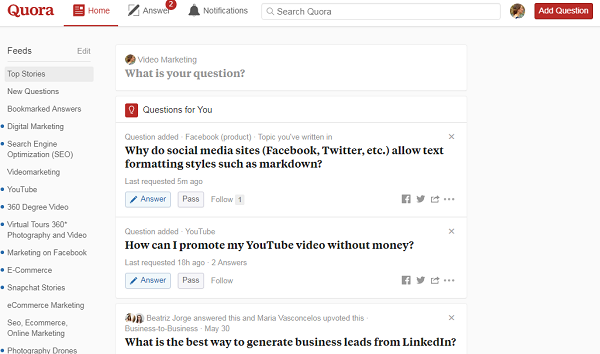 And you can draw inspiration from different Pinboards for creating your posts. Quora is an enjoyable tool. You can set up an account, to find the excellent content you need to search keyword for your future use. Also set up an account to notified articles then you can get more articles and interesting ideas in your inbox. This tool is perfect for those who utilize WordPress for their website and blog. By installing a plugin, It gives you the chance to regulate the curated content. This tool is great because it helps people learn from industry leaders. Also, it is great for content curation and creation because it has a feature of continually learning. You will be able to curate expert content and even learn new information about your industry. It is somewhat different from all the other content curation. It will give you a chance to learn from others and share your knowledge. You can look through several Slideshares of those in your industry to gain new information and curate content, and you can always share what you’ve learned to help someone else which are looking. It is excellent to help you keep track of things, and they are perfect when it comes to content curation. It will be more impactful, in helping you to find content and which content you might want to stay away. ContentGems is very likely that you will be able to curate content that will apply to your needs. What all you have to do is search your chosen keywords, and you can skim through several different resources, curating content along the way. ContentGems is a content discovery engine. It amplifies your content and social reach through the power of tribes. Triberr is a great way to help connect with industry leaders and curate their content. By spending just ten minutes each day on the program, It promises that it can help you get viral content. By giving you the maximum reach with your content and blogs, It looks at your Facebook and decides what dates, times, and content pieces will work best for you. Also, you get those curated pieces out to your audience so that this can help boost Facebook engagement. Klout Score it can assign to social media accounts which provides a rich source of relevant articles but is often better known. 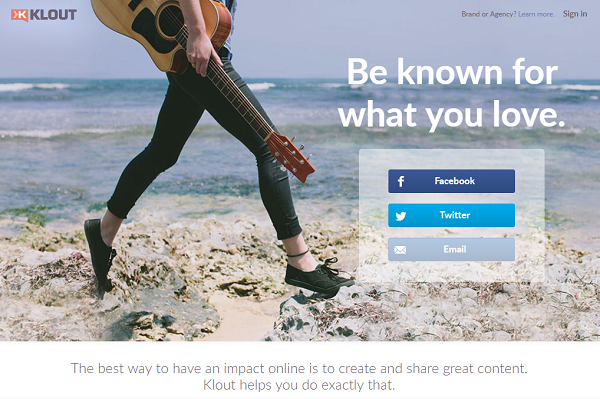 The Klout Score based on your social media profile and activities. InoReader is an intelligent RSS Reader. It is not only Just RSS Reader, but it is also a vibrant community of content curators. InoReader gives you access to a vast, well-rounded content library with free search and discovery options. It has the best feature of a possibility of using extensive archives. 53% of businesses are in the use of interactive content. It works very well for content developers and also Medium places emphasis on creating and writing your own stories. The website also comes with a free installable bookmark tool. This tool allows you to click on it when you’ re on a web page that is inspiring and takes you directly to the Medium writing interface so that you can work on it. It also links the page that you were inspired by, which helps you remember where your content ideas came. Flipboard create your magazine. It is used to browse articles, videos, and photos your friends are sharing and catch up on the news, read stories from around the world. Pearltrees is a visual and collaborative curation tool. It allows you to collect, organize, and share any URL, and upload personal images and notes. It is a fast, free and simple way to bookmark online images. It can collect and manage categorized post boards. Bundlrhelps you create content “bundles” from your favorite sources across the web. While you browse the web in real-time, source blog posts, articles, tweets, quotes, links, videos and other media works here and “clip” content into your bundles. various flows, which categorized according to interest, expertise, service or other topics you choose. It can be track users’ Facebook friends, LinkedIn connections, and email contacts in the news. It will not allow you to miss a remarkable story about a friend, professional communication, or public figure. It has the feature of consistently publish fresh content on websites or blogs in minutes a day to keep readers engaged. Zemanta is a kind of tools like click-it and forget-it. Zemanta based on an algorithm, not human input, and its picks, therefore, can be hit or miss. It is a clean, elegant and super fast tool. It can manage every aspect of your digital native media buying from one simple dashboard. 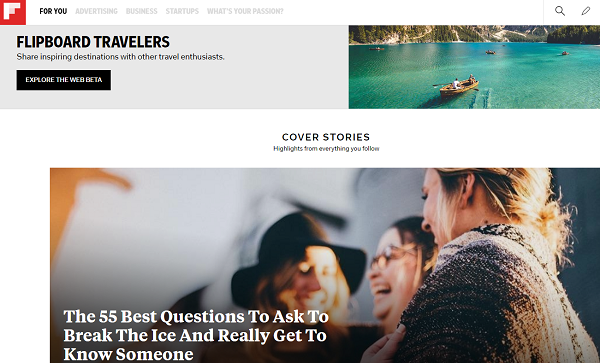 Zite aggregates content based on a proprietary algorithm that prioritizes your preferred topics and the relative popularity of individual posts and articles. BundlePost aggregates and schedules social media content. It has the features of search, edit, and schedule with the browser plugin or social media dashboard. Spundge does something different from Pinterest; it learns what you are interested in, tries to reach your results to meet your needs. It is used publish ‘newspapers’ comprised of content from anywhere on the web to treat your readers to fresh news daily. You’re much guaranteed to boost your website’s traffic and online visibility—which is the goal of any content curation and creation scheme. Waywire is a video curation tool. It can be embedded hundreds of top-quality sources from trusted media makers to enhance your site with topical, timely, and contextually-relevant video. It is a personalized content discovery application. It can be used by brands, publishers, or individuals to discover, engage, share, and publish content. Echo’s coolest feature is Echo Conversations, a commenting system that enables real-time, natural conversations that encourage engagement and boost time spent on your website. Flockler helps to combine all your content, including what your fans say about you, into one social hub. Addict-o- Matic will search the best live sites on the web. It will find the latest news, blog posts, videos and images to keep up with trending topics. It can be created and share visual stories, collaboratively. HeadSlinger is used to find all your news in half the time. It can scan your favorite sites’ headlines in a matter of seconds, and store your favorite news sources in quick, easy to find folders. 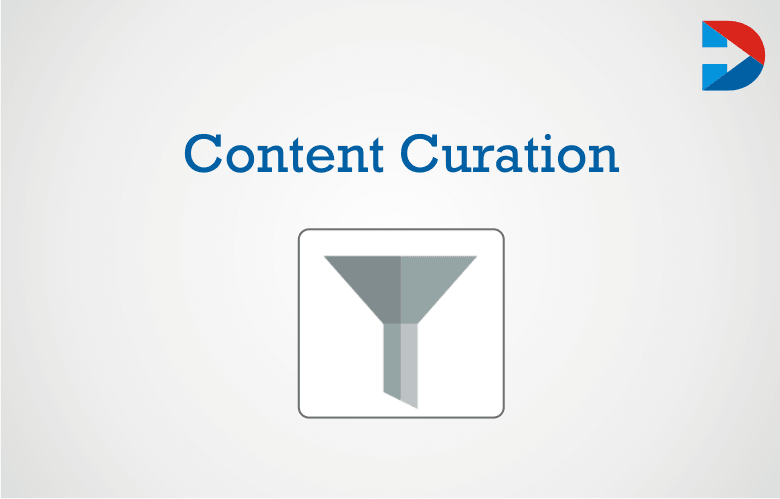 CuratioSoft enables content curation for users. It also helps establish brands as an authoritative voice, and a go-to source of information. It is a social media hub for hashtags. It will aggregate, moderate, and follow hashtags, as well as create and follow your hashtag conversations. It is a WordPress plugin that allows you to collect posts, articles, infographics, videos—really any content. It can share it with the way your market finds helpful and exciting. Spredfast is used to Help brands, media, and agencies involve and connect with audiences by integrating social media into their marketing and advertising efforts. BagTheWeb is a content and curation networking company. The users can find, create, and share ‘bags’ of web content topics they care. RebelMouse is used to create a blog, website, or social page in seconds. It will only connect your social networks such as Twitter, Facebook, Instagram, Google+ or LinkedIn. Equentia is a platform for web content publishing, distribution, and engagement. To match your existing content, It has advanced curation feature of real-time aggregation and text-mining where the material is discovered to match your current content. 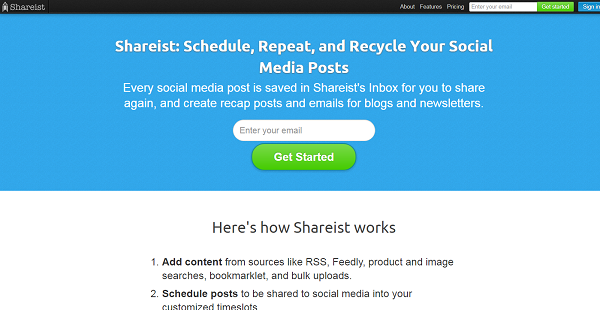 Shareist is a home base for users’ content marketing activities. It will capture bookmarks and ideas, share them on social media, and save them for building and publishing pages to blogs. Kbucket is a user indexed search site. It has expert “content curators” organize, comment, tag, and publish their research to support their content marketing strategy. Flashissue is a Gmail, newsletter creator. It helps you find content, create mailing lists, and get reports and analytics for emails sent. Symbaloo is a personal start page that allows you to navigate the web quickly. It will compile your favorite sites into one visual interface. Also, it will save your bookmarks in the cloud and access them from anywhere with any device. 74% of internet traffic is generating through video content. It is a social video discovery platform which allows you to bookmark videos and create private or public playlists of videos. Bookmark videos from any website featuring videos from YouTube, Daily Motion, and Vimeo. Follow ze is a B2B content engagement platform for marketing and sales. It will create content experiences that dynamically adapt to a visitor’s profile, company, industry, and stage of the deal. Channelkit allows you to tag and structure all kinds of information in one place. Channelkit includes websites, contacts, articles, PDF files or images—all displayed as smart cards in channels. Sharpe will break down information silos, improve collaboration, and share what matters most with the people who matter most to your business. 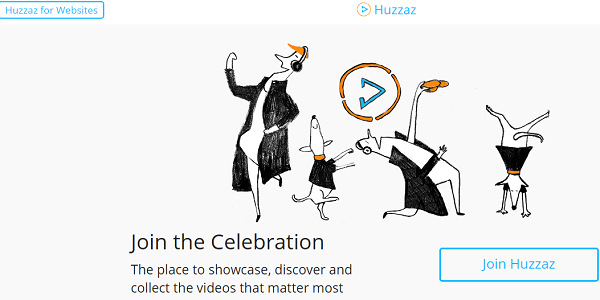 It is a video curation platform that allows you to discover, collect, and showcase YouTube and Vimeo videos. It will analyze viewing behavior, find out which videos matter most to your viewers and increase site engagement. Content is a content discovery and curation tool that crawls the web to pull news articles and blog posts. It sorts by factors like social influence and recency, reducing the need to browse through hundreds of pages of results. It can be curate and share links visually, upload documents and files to the cloud, and use affiliate technology to generate ad-based revenue. It features an enterprise dashboard with detailed metrics. Crowdynews will automatically integrate real-time social content alongside editorial content to increase engagement and drive revenue. It helps to generate the content through bunch of links. 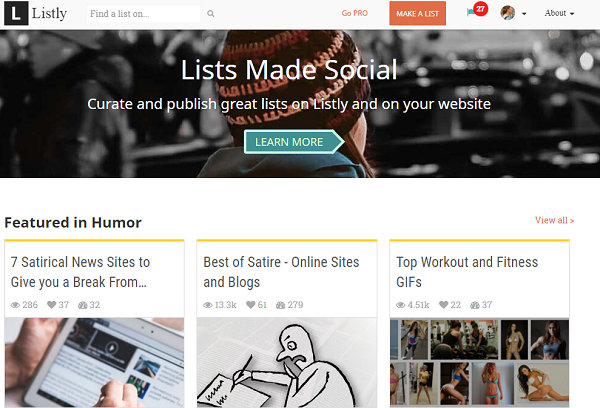 It offers to publish, share and curate online content in an extraordinary way. 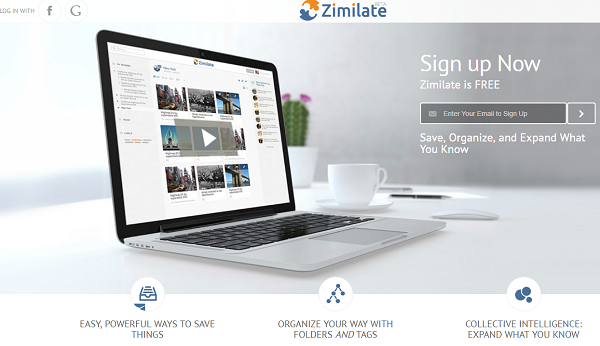 Zimiliate is a webpage clipper. It will save perfect copies of web pages, files, images, and notes from your browser to collections stored in the cloud. They’re accessible even if the original page changes or disappears. Roojoom will create Smart MiniSites, online magazines, and e-newsletters. You can personalize content for each user to increase engagement and conversions across the customer life-cycle. Before selecting the best tools for a particular business, it’s important to know the role of content curation that will play in your marketing operations and the size of your team. These are the most critical Content Curation Tools which used for your marketing field. These tools are all great to use; you can always follow industry blogs and look at social media.